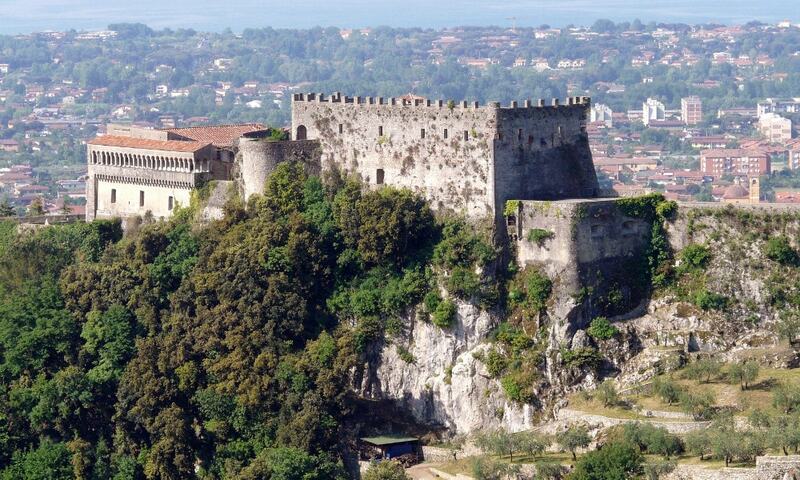 The Malaspina Castle crowns the top of a rocky hill and dominates the wide underlying plain and part of the Tyrrhenian coast. From the 17th century the main purpose of the castle was military and it served as a prison until 1946. The castle was subsequently restored and reopened to the public. The castle was visited by Dante Alighieri, who supposedly envisioned the descending circles of Hell, that inspired the corresponding part of his Divine Comedy. According to legend, Dante saw the great funnel-shaped cave lying below, surrounded by a series of ledges with the slopes converging to the stream.